For the next few days you can pick up this anthology for $2.99 — that’s less than half the regular price! The sale lasts Jan 10 through Jan 13 so don’t wait. And before I put away my soapbox and exit salesman mode, I’ve got to mention two other books as well. 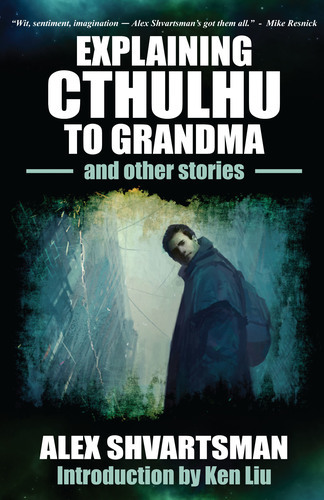 My darkly humorous flash story “Hell is Other People” is available in the recently released Outliers of Speculative Fiction 2016 anthology (which is also free to read on Kindle Unlimited.) Finally, there’s a mass market paperback issue available of Mission: Tomorrow, another hard SF anthology which I’m guessing anyone who likes Humanity 2.0 would also enjoy. It includes my Canopus Award-nominated story “The Race for Arcadia.” After six years in the field, this is actually the first time my work appears in a mass market paperback format and I’m very pleased by this, because that’s what the books I devoured as a teenager looked like. This entry was posted on Tuesday, January 10th, 2017 at 10:01 am and is filed under Acceptances & Publications, Publishing. You can follow any responses to this entry through the RSS 2.0 feed. Both comments and pings are currently closed.